John has over 25 years of experience working with this classic marque. From minor maintenance to engine building and race preparation, you can be assured your classic is in safe hands. 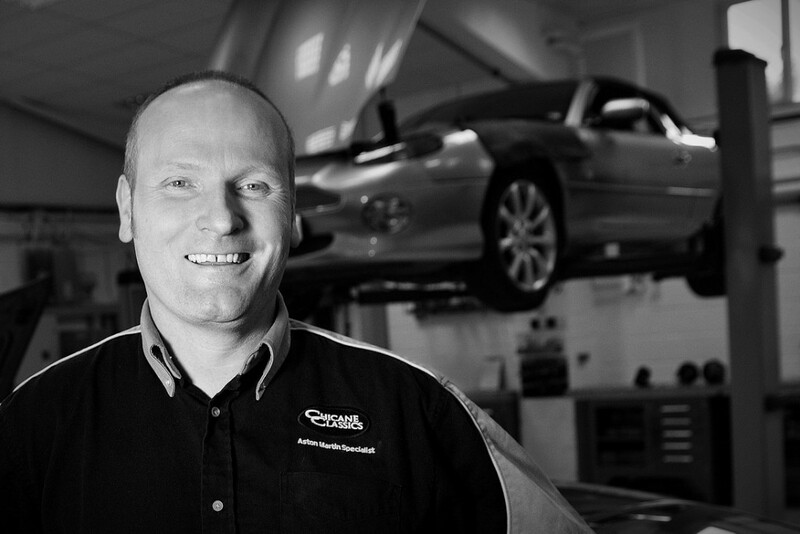 John’s commitment to provide the best service possible and to achieve a high quality finish means Chicane can help you to realise your own personal ‘ultimate driving experience’. John believes that the highest quality, the best service and end results can be achieved while being mindful of cost to the client. Communication and project updates from start to finish keep our customers informed and involved with work as it progresses. Every customer and every car will receive a personal service; you will be catered for according to your requirements and vision. Your car will benefit from John’s critical eye and attention to detail, ability to prioritise the urgent to ‘wish list’ items ensuring your car’s worth is maintained. John’s respect for and understanding of the Aston Martin marque means advice can be given on how to secure and improve the value of your car.